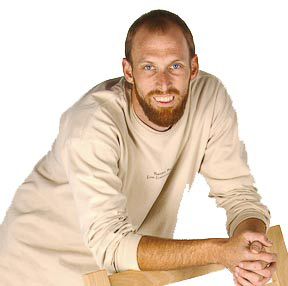 Brian is a native of Vermont, where he completed an 8,000 hour apprenticeship and began his 5 year journeymanship. As a Master Craftsman, he opened his first shop in 2004 in Naples, FL, and now calls Black Mountain, NC his home. 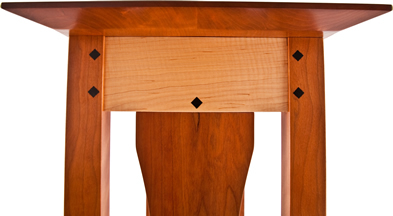 Design, function and detail are incorporated in every table. Reflecting your personal taste, all mirrors are created to frame your life. Brian's signature piece is the Arbor Bow Arm Morris. A beautiful representation of the outdoors, perfect as a functional centerpiece in your den or living room. Brian can create a custom housing worthy of your most precious possessions. 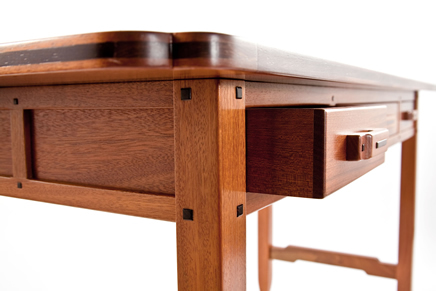 Whatever your need, Brian will work with you to design & plan the perfect furniture piece. 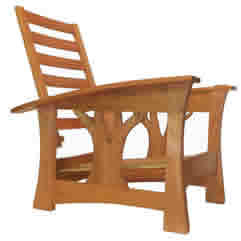 © 2012 Brian Brace Fine Furniture Maker. All rights reserved.